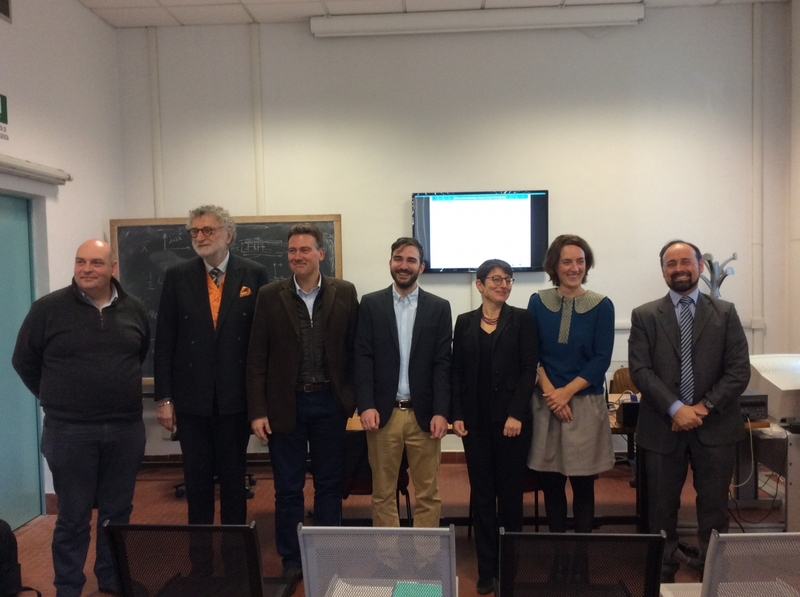 On November 28, 2017 our former team member Alexis Meletiou successfully defended his PhD work at Turin Polytechnic. 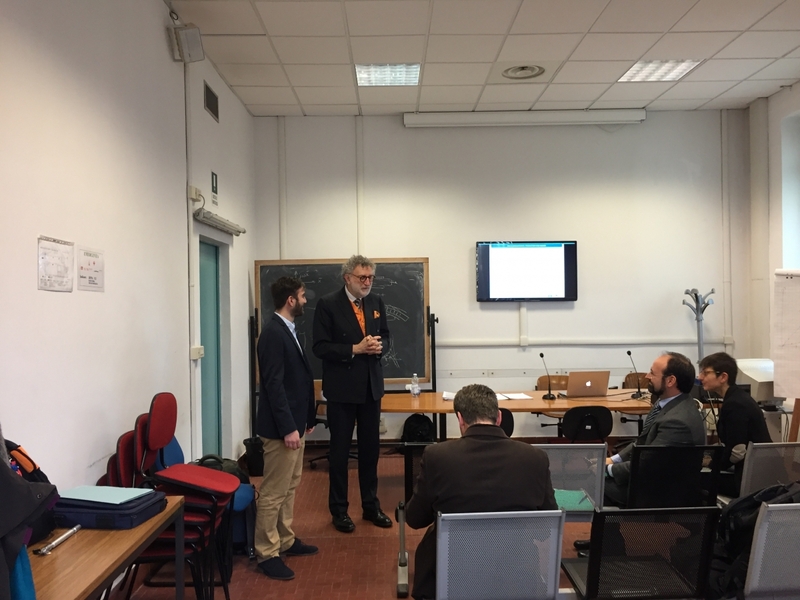 The doctoral research addressed possible regulatory framework changes aimed at fostering the deployment and integration of innovative smart grid solutions. The move towards sustainable electricity production, poses a number of technical challenges, thus electricity networks are currently undergoing a major transformation towards smarter, expanded, and upgraded grids. This transformation will require considerable investments and since network industry is a regulated sector, a number of policy and regulatory challenges will arise. Taking into consideration the recent developments on both transmission and distribution electricity networks, this thesis examines the following issues: a) the impact of self-consumption policies and smart grid technologies on distribution networks, b) the influence of various market and regulatory factors on smart-grid investment in Europe, c) the impact of regulation, ownership and market structure factors on the adoption of ownership unbundling models in European power transmission networks. a redesign of self consumption policies should aim at creating incentives for instantaneous self-consumption rather than remunerating prosumers for the injection of net excess energy back into the grid within a metering interval. 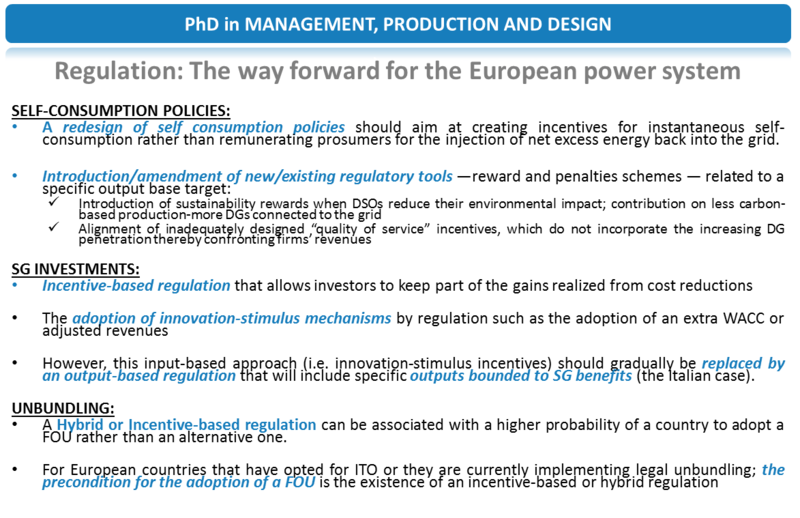 lower market concentration in the electricity distribution sector, the use of incentive-based regulatory schemes; and the adoption of innovation-stimulus mechanisms are key enablers of smart grid investments. the use of hybrid and/or incentive-based regulatory schemes, the presence of state ownership, and the length of electricity transmission network can be associated with higher probability of a country to opt for a Full Ownership Unbundling regime. This research was supervised by Turin Polytechnic and funded/co-supervised by the European Commission’s Joint Research Centre. The views expressed are purely those of the author, and may not in any circumstances be regarded as stating an official position of the European Commission.